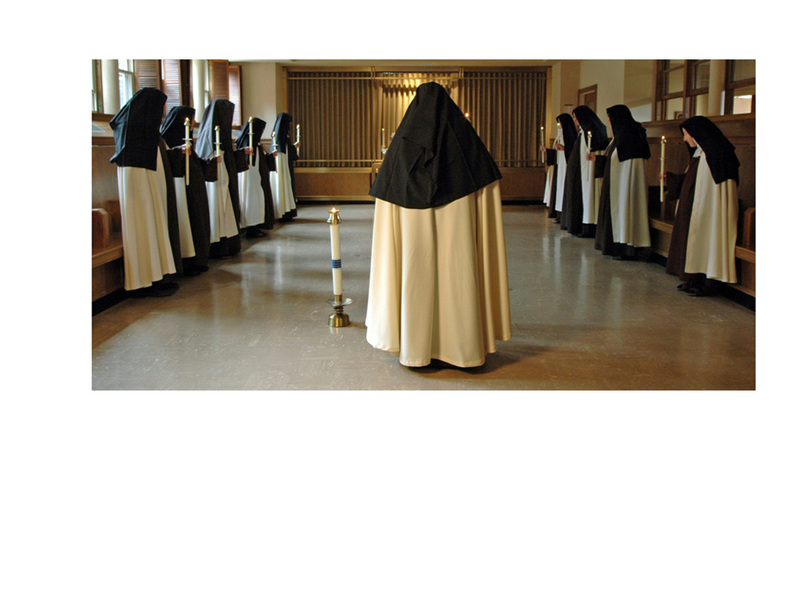 Our monastery is not a �place� in the same sense of any other humanly constructed place on earth, for it does not have its reason for being as its own center but in the heart of God. 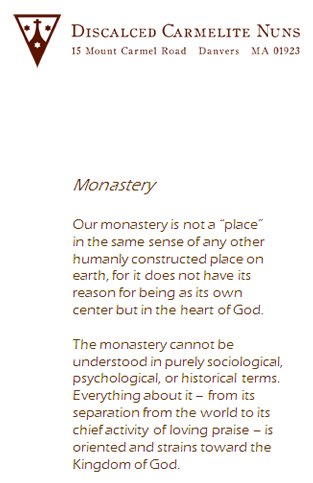 The monastery cannot be understood in purely sociological, psychological, or historical terms. 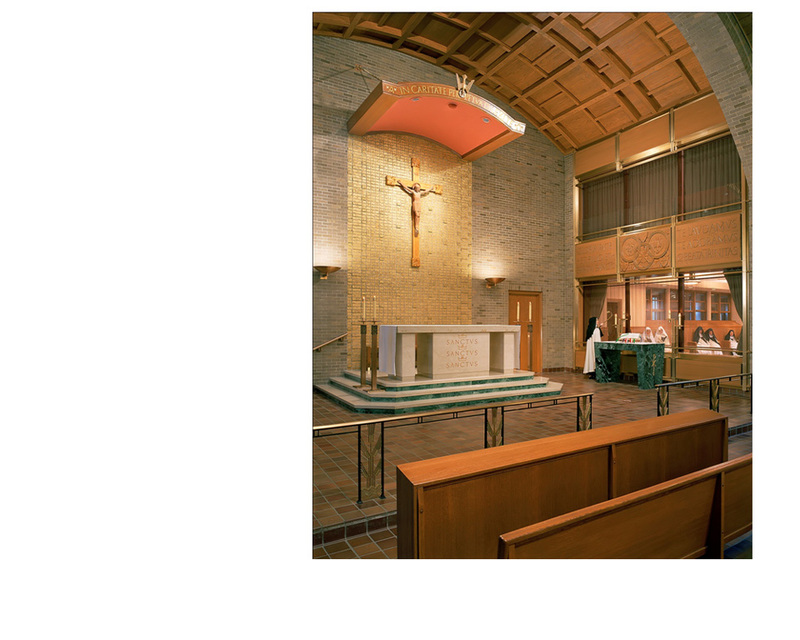 Everything about it � from its separation from the world to its chief activity of loving praise � is oriented and strains toward the Kingdom of God. 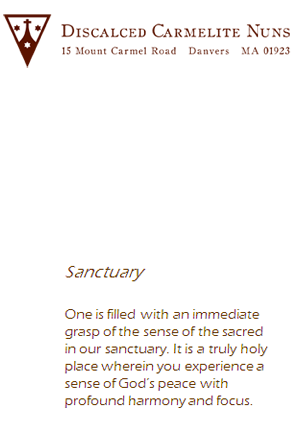 One is filled with an immediate grasp of the sense of the sacred in our sanctuary. 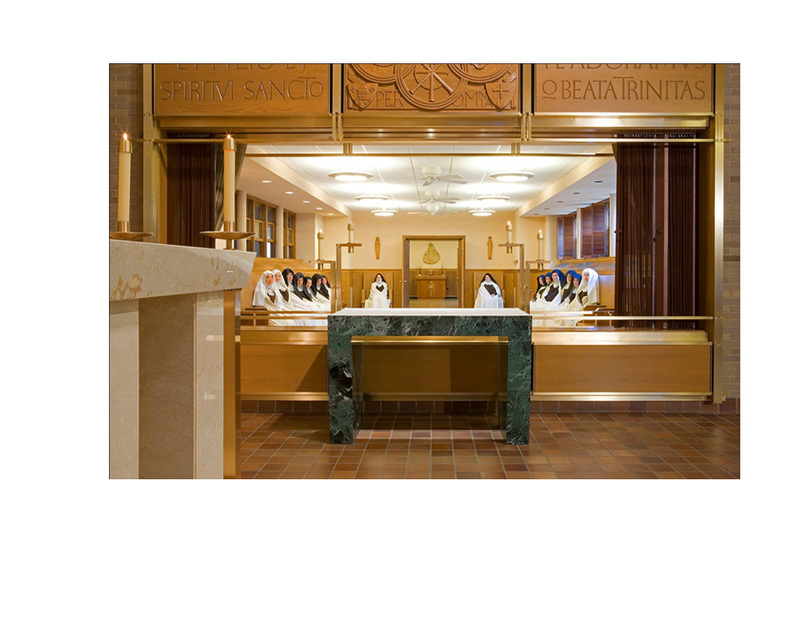 It is a truly holy place wherein you experience a sense of God�s peace with profound harmony and focus. 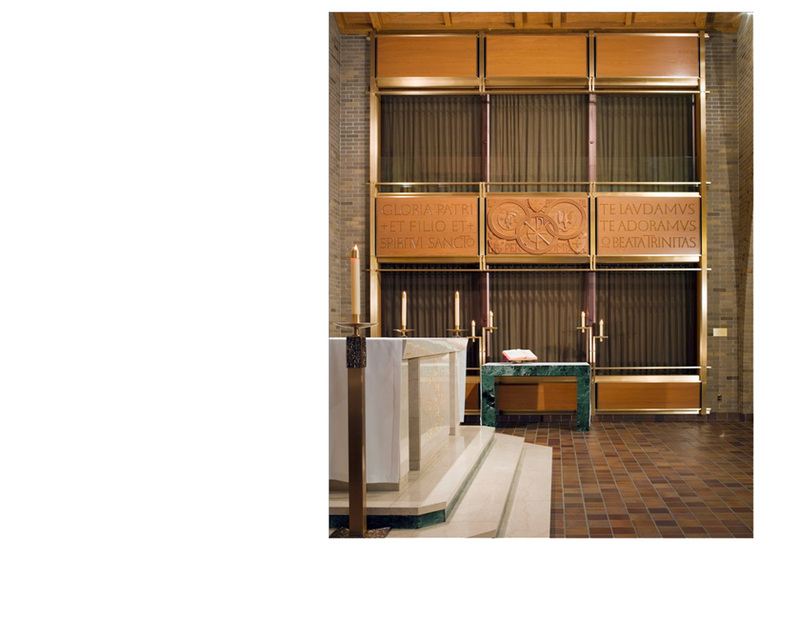 Drawing our screen each morning, we embrace the daily celebration of the Mass. 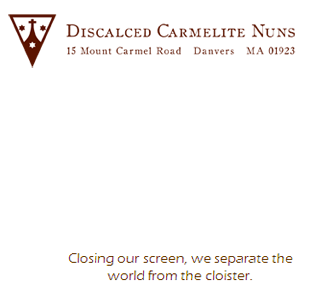 Closing our screen, we separate the world from the cloister. 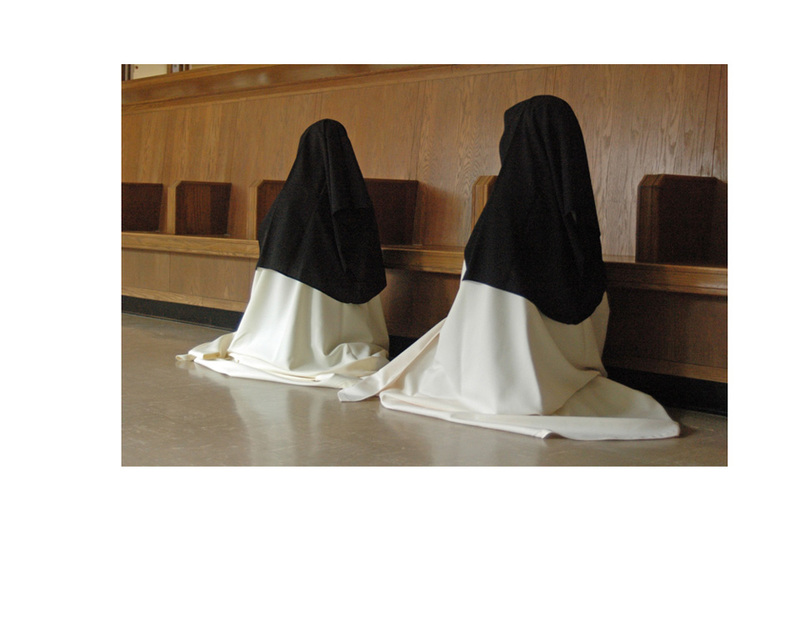 Giving us tranquil privacy within the Choir. 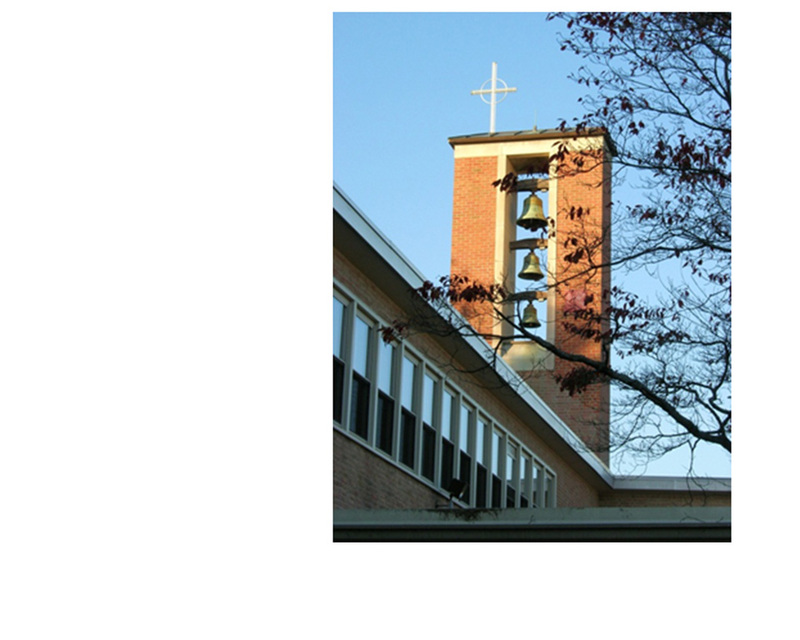 Where we come together to chant the Divine Office, the official prayer of the Church, and for silent prayer.